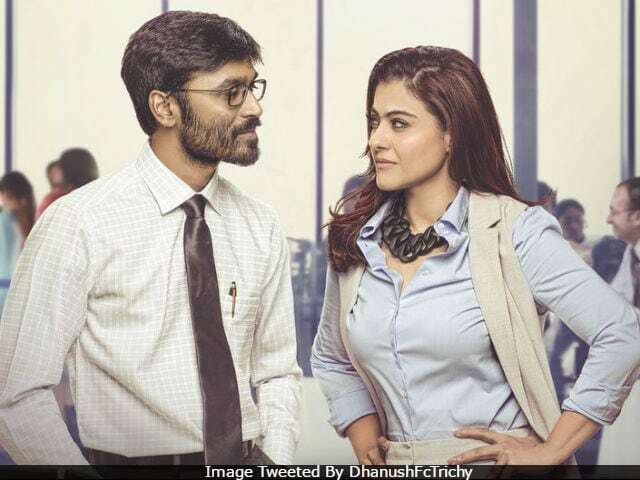 The Hindi version of Kajol And Dhanush's forthcoming Tamil film Velaiyilla Pattathari 2 (VIP 2), which releases on July 28, will now be called VIP 2 (Lalkar), reports news agency IANS. It is Kajol and Dhanush's first film together and the makers wanted the title to be pan-India. "It was a strategic move to make sure the film reaches across all states. With Kajol and Dhanush coming together in a movie for the first time, the title has to connect with the masses. Both the actors have a huge fan base in the North, so we thought of leveraging it thereby keeping a more relatable and easy name for the audience," said Soundarya, the director of VIP 2. She is Rajinikanth's daughter and Dhanush's sister-in-law. VIP 2 makers wanted to ensure the title registers across pan-India, especially the north belt, considered as one of the major revenue earning territories. It was a unanimous decision by the makers of the comedy drama to have a catchy title for their film that the audience can easily relate to and accordingly decided to go ahead with VIP 2 (Lalkar), read a statement, reports IANS. The teaser of the film was released earlier this month and the first official trailer is expected to be unveiled today. The film went on floors last year in December. With VIP 2, Kajol is making a comeback in the Tamil film industry after two decades. Of her role, a source earlier told IANS, "Kajol plays a suave businesswoman, and there will be different shades to her character." VIP 2 also stars Amala Paul, Vivek, Saranya Ponvannanand and Samuthirakani. The film is produced by Dhanush. VIP 2 is the sequel to Dhanush's 2014 blockbuster filmVelailla Pattathari, directed by Velraj.